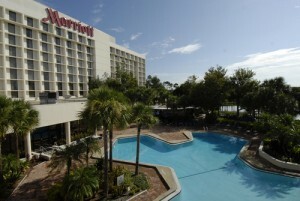 For more information, check the Orlando Airport Marriott web site. You can also take a look at some pictures of the hotel from the 2007 Summer Board Meeting. Help IAFA! Many conference costs are included in the cost of your discounted rate. Free Internet/WiFi in-rooms for any member who joins Marriott Rewards at any level. For reservations, please call the hotel’s toll-free number: 1-800-380-6751, dial direct: 407-851-9000, or use the Orlando Airport Marriott website. The 2019 IAFA group code was IAFIAFA. The 2019 rate was $140 per night. Fill it in as the group code if you register on-line or mention it to the hotel if you call in the reservation. The box to fill in the group code is on the left hand side of the screen when you first go to search for a room. It’s below the section where it asks you the check in date and for your Marriott number. Fill in the discount code before you click “find”. The Airport Marriott supplies free airport shuttle service from Orlando International. If you would like to take advantage of the free hotel shuttle from the Orlando (MCO) Airport, call 407 851 9000 and punch option 5. Tell them which terminal you are calling from A or B, then go down to the shuttle pickup point. Usually there is about a ten minute wait as we are a very large group so please be patient. Please note that the shuttle is not handicapped accessible. We have teamed up with Orlando Convention Aid to help you make the most of your time in Orlando. Available discounts include restaurants, golf, attractions, nightlife, shopping and much more. Each listing offers detailed information and discount coupons that can be printed. They can also make your dinner reservation, book your group dinner party or event. 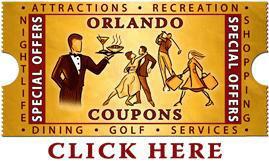 This web site will help you plan your time during your stay in Orlando. · Purchase, discounted attraction tickets! · Receive, discounts to fantastic restaurants and make dinner reservations! · Enjoy complimentary cocktails at some of Orlando’s best nightlife! · Play great golf at a discount! · Shop at Orlando’s most exclusive stores and outlets with discounts! · Rent cars and make use of other great services all with fantastic discounts!